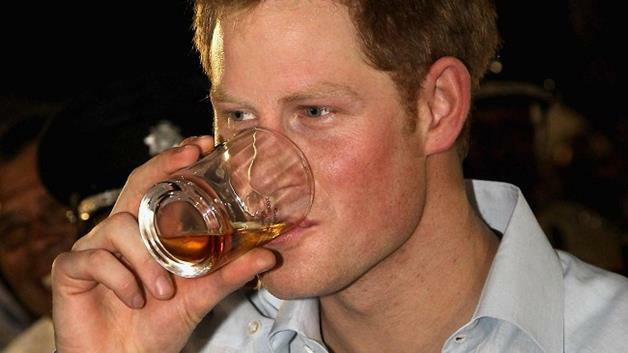 Prince Harry attended this year’s Glastonbury Festival and managed to sneak into the UK’s biggest music event unnoticed to party with friends until the early hours. The festival’s organizer Michael Eavis said today he had chatted with Prince Harry last night and recommended he stayed to sample the nightlife. Prince Harry’s on-off girlfriend Cressida Bonas was pictured enjoying the sunshine at the Worthy Farm site in Somerset yesterday, but the prince managed to evade photographers as he partied the night away. Michael Eavis, 77, said Prince Harry had watched the Rolling Stones performing at the Pyramid Stage last night and also enjoyed music at the Park and John Peel stages. The organizer said: “Prince Harry was great actually. I recommended that he should go on into the night, because the nightlife is what Glastonbury is all about. At three o’clock in the afternoon, you don’t get it. “I told him to get his taxi driver to come back at five o’clock in the morning and do you know what? He lasted until four in the morning. Glastonbury Festival has attracted celebrities including Kate Moss, Wayne and Colleen Rooney and Katherine Jenkins over the weekend. Backstage today, actress Sienna Miller, singer Florence Welch and presenter Dermot O’Leary were spotted. Michael Eavis said he did not join Prince Harry for a pint of cider as he abstains from drinking from two months before the festival until after everyone has left the site. He added that the Rolling Stones had been the festival’s best-ever headline set and that their two-hour performance – complete with fireworks and a burning phoenix on top of the stage – was worth the wait. He had tried to secure the band, celebrating their 50th anniversary, for years and said he was not sure how next year’s headliners, who have already been booked, would live up to the Stones. “It was 43 years in the making, 50 years for them, and we’ve finally come together. We’re on the same page at last,” Michael Eavis said, on the third day of music at the festival. He said: “It’s the whole razzmatazz of the occasion – the two of us finally getting together at long last. The capacity of the Pyramid area was expanded for the first time for the Stones, meaning a festival record of 100,000 people saw Mick Jagger strutting his stuff. Mick Jagger led the band through their classics, starting with an energetic Jumpin’ Jack Flash and ending with a soulful You Can’t Always Get What You Want, before crowd-pleaser Satisfaction. Sir Mick was said to have been concerned about sound quality ahead of the gig, but his fears were unfounded. “Musically, they were absolutely brilliant,” said Michael Eavis, who claimed the band were number one in his top 10 of headliners, above Radiohead, U2 and Oasis. “Mick Jagger’s energy leading that band with such a passion and so much style – he was absolutely amazing. “I’ve never seen anything like it. It’s quite remarkable to think he can go like that, at his age. The mechanical phoenix created by Joe Rush, which came to life during Sympathy For The Devil, was a labor of love, with health and safety officials voicing concerns, Michael Eavis said. He laughed as he claimed the ornate moving sculpture had cost almost the same as the Stones’ fee for their set. Michael Eavis said the ticket holders, of which there were 135,000 this year, were what kept him going. A BBC Two spokesman said its coverage of The Rolling Stones peaked at 2.5 million viewers, compared to the peak of 2.1 million for U2 who headlined on the Saturday night at the last Glastonbury Festival in 2011. Other highlights of the weekend have included Friday night’s headline set from the Arctic Monkeys, Portishead on the Other Stage and an early morning performance from Liam Gallagher’s band Beady Eye. Michael Eavis said he had particularly enjoyed Elvis Costello’s Saturday afternoon gig, and taking part in a karaoke session on the same day. “It fills me with so much confidence because people love it so much,” he said. Police said crime at this year’s Glastonbury Festival has dropped dramatically from the last time the event was staged. Avon and Somerset Police said crime levels were 33% lower than in 2011, with 220 reported crimes since gates to the campsites opened on Wednesday. Those crimes included 61 drug offences and 106 thefts from tents. There were no major incidents on site and a total of 154 arrests have been made. Inspector Shirley Eden said: “We are very pleased with how the festival has gone. It’s been a fantastic event, the atmosphere has been brilliant and crime is low.